Experimental industrial groove metal act Haema from Northamptonshire UK formed in 2016 and now they are set to release their debut EP via Sliptrick Records on the 31st October 2017. ‘Free Man’ aptly feels very free spirited in attitude but with a dark atmosphere and is heavier than the opener and a good one to let loose to. They manage to incorporate many influences and sounds into this and the end result is a very strong melodic unique track. The title track ‘Insurrection’ kicks off in an alarming and dysfunctional fashion and goes on to feature electronic synth groove laden melodies and a striking chorus. This is very rebellious as you would expect from the title and the lyrics featured, such as “they tell us which way to walk, this life is a crime..” and “I want to know if this line I walk is the one I chose or the one I’m taught”. ‘Thirte3n’ has a dark industrial sound with hints of nu-metal with belligerent screams and crazed clean vocals, it has creepy sound effects throughout, with gloomy lines such as “the darkness is taking over you”. This is one of the best songs featured and adds more variety to the EP yet again. The final song ‘Two Minds’ features stomping riffs and the use of high pitched vocals give this an extra edge and again asserts their distinctive sound, paying homage to different bands and genres, but they ultimately remain unique which they must be commended for as this is hard to achieve. 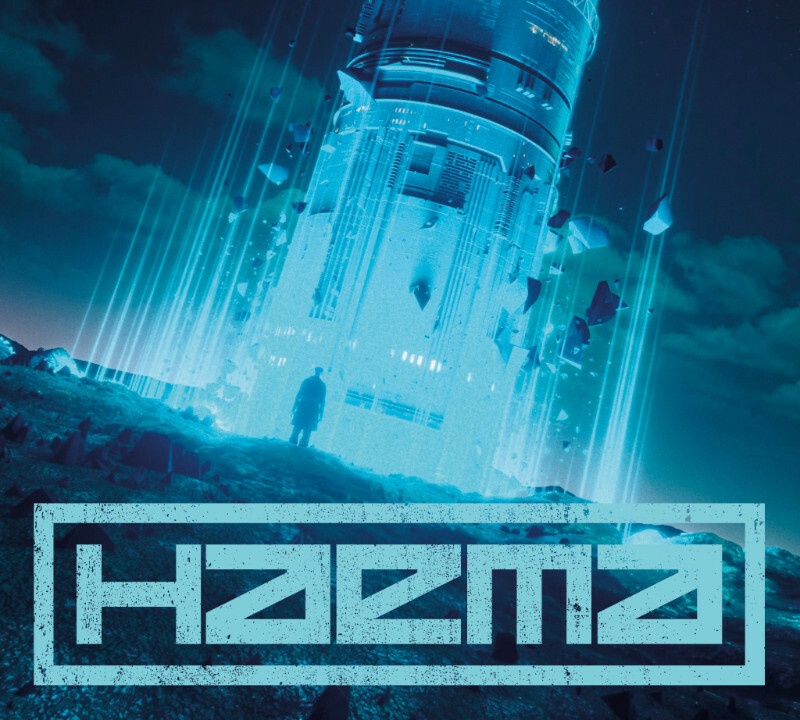 This debut EP is striking, creative and unique, something which all bands strive for in any release, so Haema should be very proud of what they have produced as this is a seriously strong first offering and it will be exciting to see what they do next.